How much information do extinction and backscattering measurements contain about the chemical composition of atmospheric aerosol? 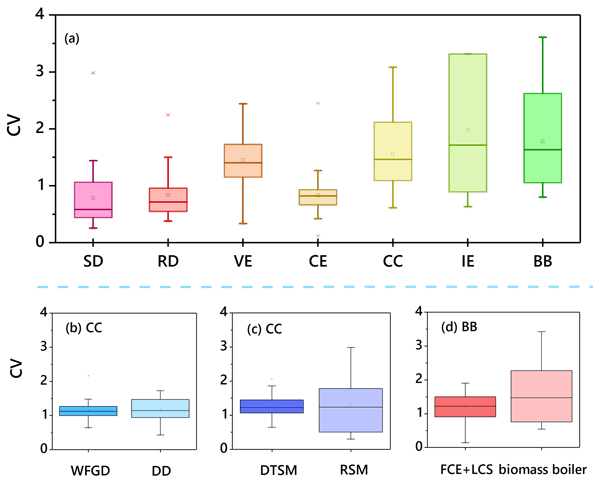 This paper reports a systematic assessment of the information content of remote sensing measurements with regard to the chemical composition of aerosols. The focus is on ground-based, airborne, or space-borne lidar observations. The results are exploited in an air-quality forecasting model by incorporating measurements into the model in such a way that one maximises the use of available information. The goal of this work is to improve air-quality forecasting for suspended particulate matter. Commentary on "Homogeneous nucleation of NAD and NAT in liquid stratospheric aerosols: insufficient to explain denitrification" by Knopf et al. Because of an increase in population UV exposure due to depletion of ozone, solar UV data were collected at Chilton, south England, from 1991 to 2015 and compared with ozone (O), cloudiness (C) and aerosols (A). Using multiple regression analysis, the results showed O exhibited a small increasing tendency over the same period; C played a more important role in the increasing trend in UV for 1991–2004 than O, while for 2004–2015 the decreasing trend in UV was less associated with C and A than O. 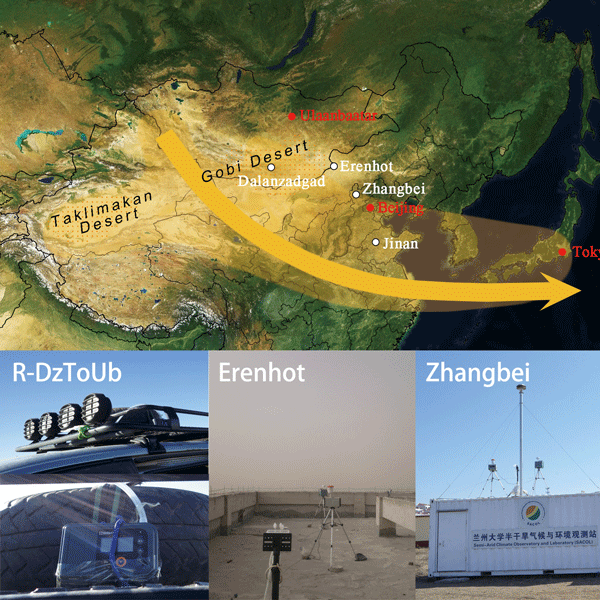 The complementary use of two sensors, ATSR and MODIS, to provide aerosol information over two decades (1995–2015) is described. To this end, the AOD retrieved from both instruments had to be compared, showing that ATSR slightly underestimates and MODIS overestimates by a similar amount. Results show the increase of aerosols over the years, with an indication of the onset of a decrease in recent years. 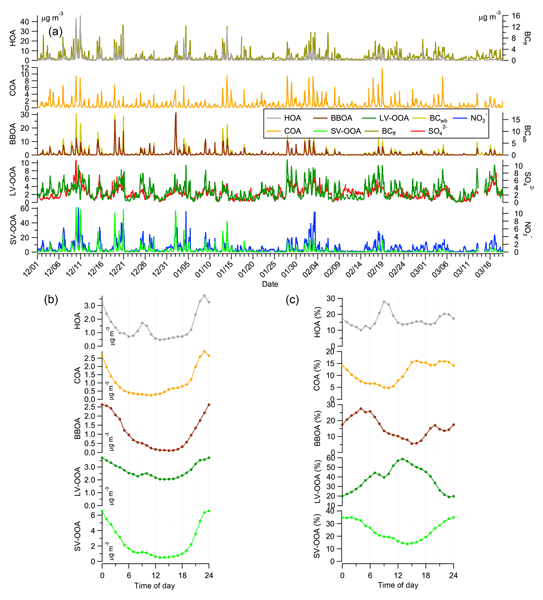 The AOD spatial distribution shows seasonal variations across China. The 2015/16 Arctic winter stratosphere was the coldest on record through late February, raising the possibility of extensive chemical ozone loss. However, a major final sudden stratospheric warming in early March curtailed ozone destruction. 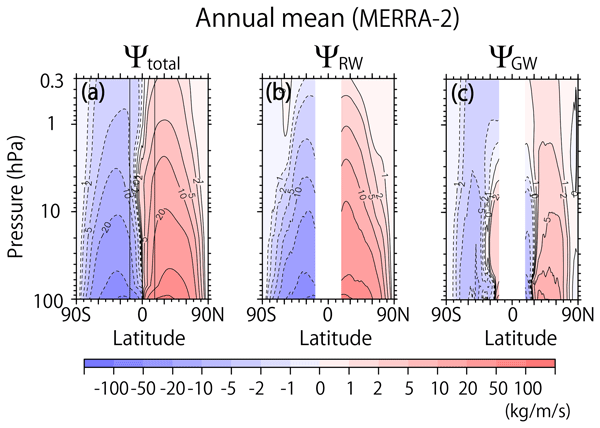 We used Aura MLS satellite trace gas data and MERRA-2 meteorological data to show the details of transport, mixing, and dispersal of chemically processed air during the major final warming, and how these processes limited Arctic chemical ozone loss. 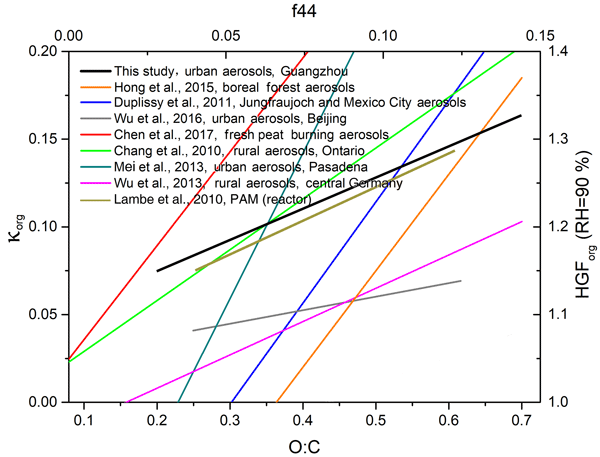 Background climate can affect aerosol concentrations (AC). It is found that when negative NAO is overlapped with El Niño, the anomalous circulations are not favorable for the transportation of aerosol, resulting in enhanced AC over eastern China. By contrast, a sole negative NAO event is linked with increased AC over central China. The results suggest that both the extratropical and tropical climate system play important role in impacting the AC over China. 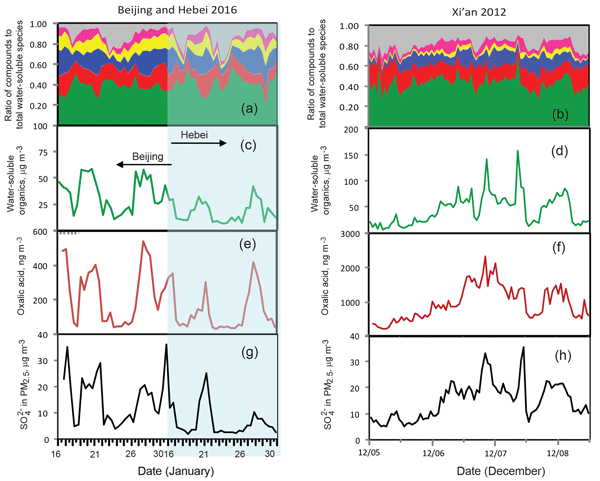 Several studies using thermodynamic models estimated pH and sulfate formation rate during pollution periods in China are highly conflicting. Here we show distinct sulfate formation for organic seed particles from that of (NH4)2SO4 seeds, when the particles are exposed to SO2, NO2, and NH3 at high RH. 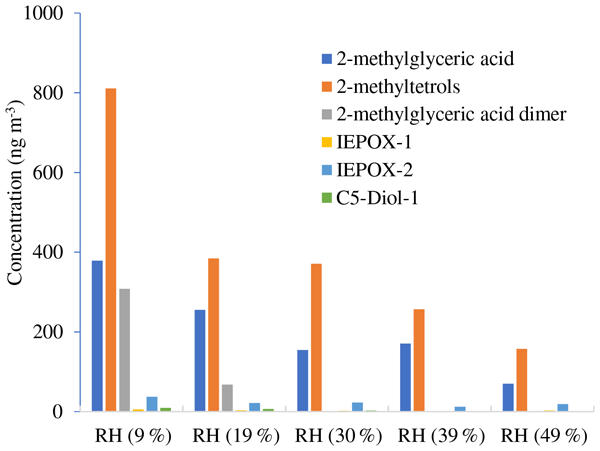 Our results reveal that the pH value of ambient organics-dominated aerosols is sufficiently high to promote efficient SO2 oxidation by NO2 with NH3 neutralization under polluted conditions in China. We developed an integrated approach based on the Automatic Identification System (AIS) to promote the estimation of sectoral ship emissions in China. Based upon this approach, the sector-based contributions, decadal evolution from 2004 to 2013, emission projection to 2040, and impact of different sizes of Emission Control Areas (ECAs) on emission reductions were investigated, aiming to provide solid scientific support for ship emissions control policy making in China. Methane is a potent greenhouse gas, and leaks from natural gas infrastructure are thought to be a significant emission source. We used a mobile survey method to measure GHGs near Canadian infrastructure. Our results show that ~ 47 % of active wells were emitting. Abandoned and aging wells were also associated with emissions. We estimate methane emissions from this development are just over 111 Mt year−1, which is more than previous government estimates, but less than similar studies in the US. 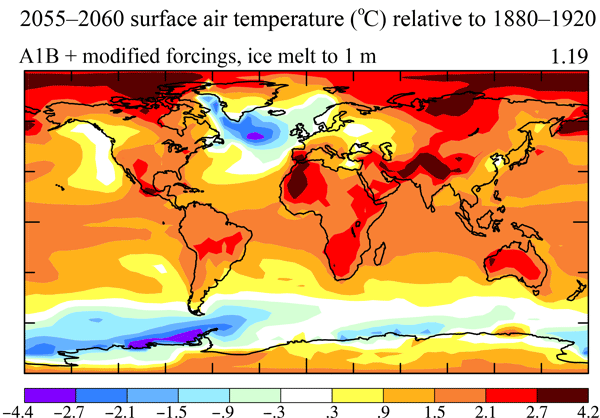 The CMAM30 data set takes a chemistry-climate model and relaxes the dynamics to reanalysis, which can then provide chemistry fields not available from the reanalysis data set. 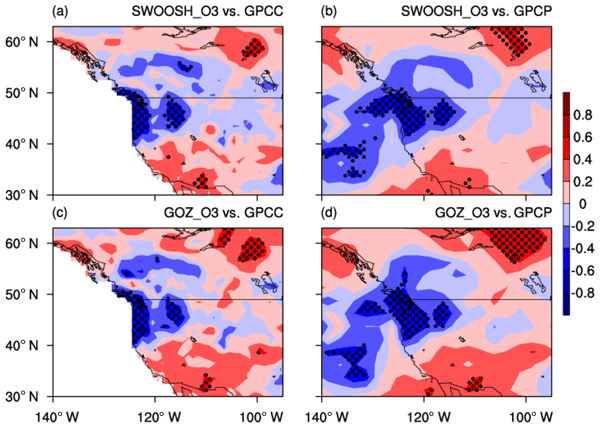 This paper addresses this gap by comparing temperature, water vapour, ozone and methane to satellite data to determine and document any biases in the model fields. The lack of ozone destruction and dehydration in the SH polar vortex is shown to be due to the treatment of polar stratosphere clouds in the model. The tornado-scale vortex in the tropical cyclone boundary layer has been speculated in intense hurricanes. A numerical experiment is conducted using the Advanced Weather Research and Forecast model by incorporating the large-eddy simulation technique. The simulated tornado-scale vortex shows the similar features as revealed with the limited observational data. The presence of the tornado-scale vortex also leads to significant gradients in the near surface wind speed and wind gusts. Source profiles are of great importance for the application of receptor models in source apportionment studies, as they characterize specific sources from a chemical point of view, revealing the signatures of source emissions. Here, a total of 3326 chemical profiles of the main primary sources across China from 1987 to 2017 are reviewed. The results highlight the urgent need for increased investigation of more specific markers beyond routinely measured components to better discriminate sources. 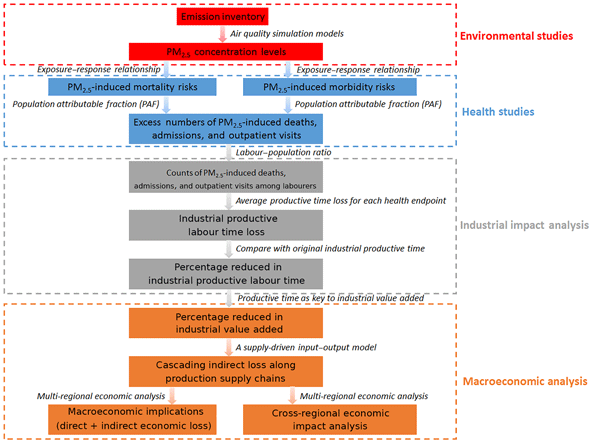 The impacts of air pollution on human health and their costs in Europe and the United States for the year 2010 ared modeled by a multi-model ensemble. In Europe, the number of premature deaths is calculated to be 414 000, while in the US it is estimated to be 160 000. Health impacts estimated by individual models can vary up to a factor of 3. Results show that the domestic emissions have the largest impact on premature deaths, compared to foreign sources. We investigated the formation of atmospheric pollutants from chlorine-initiated oxidation of isoprene. Our study is the first to report formation of airborne particles from these reactions. We analyzed the chemical composition of both gas- and particle-phase products and propose methods to better detect particle-phase pollutants. Overall, our study demonstrates that reactions between isoprene and chlorine can have important implications for atmospheric composition and therefore human health. Various plant species emit a chemical compound called indole under stressed conditions or during flowering events. Our experiments show that indole can be oxidized in the atmosphere to produce a brownish haze containing well-known indole-derived dyes, such as indigo dye. An airshed model that includes indole chemistry shows that indole aerosol makes a significant contribution to the total aerosol burden and to visibility. Mercury is a toxic, global pollutant released to the air from human activities like coal burning. Chemical reactions in air determine how far mercury is transported before it is deposited to the environment, where it may be converted to a form that accumulates in fish. We use a 3-D atmospheric model to evaluate a new set of chemical reactions and its effects on mercury deposition. We find it is consistent with observations and leads to increased deposition to oceans, especially in the tropics.